My firstborn had a diaper rash for the first 2 years of her life, and even now that she's potty trained, she still manages to develop a rash now and again. It was a long and frustrating battle with diapers, wipes, diaper creams, prescription strength concoctions, you name it. So one of the first thoughts when I found out I was pregnant with baby Kate- "what can I do to prevent diaper rash with this one?" Seriously. I spent hours researching, and kept stumbling upon post after post detailing the decreased incidence of diaper rash in cloth diapered babies. I will admit, I ignored these posts at first. The thought of cloth diapering was so foreign and well, disgusting. But after some more research, I discovered the new, hybrid method of cloth diapering, and I was more and more interested. 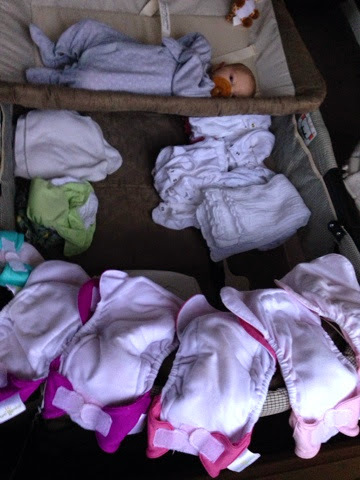 I could go on and on about the cost savings and environmental benefits of cloth diapering. But I was more interested in rash prevention. 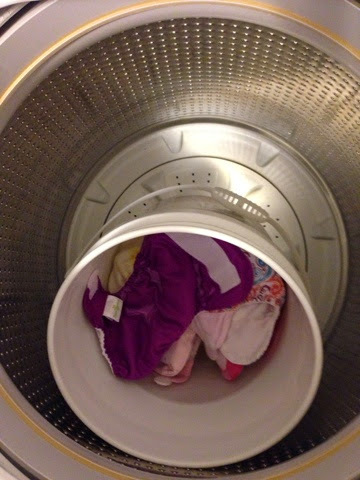 So I'll leave you some links if you're into cloth diapering for those reasons, here and here. And then, once I finally settled on the idea of cloth diapering, I was submerged into a land of hundreds of types of diapers, and was completely overwhelmed. But I wanted to keep things as simple as possible. Dozens of reviews later, I settled on an all-in-one newborn cloth diaper, and thought I would see how those went before deciding on the bigger size. I did use this post as the majority of my guidance and inspiration, plus I love that blog, so it was a win-win. I read that the only change they would make in cloth diapering would be to add newborn diapers, as an average sized newborn won't fit into Bumgenius cloth until at least a month. So that's where I started. All-in-one newborns as a trial and error process, and move forward from there. The other big learning curve with cloth diapering- how to take care of the diapers. As in, only using cloth-diaper approved soaps/detergents, how to strip diapers if needed, and which diaper creams are "cloth diaper safe". I read as many reviews on Amazon as I could stand, and started our diaper cream collection with these two creams: CJ's Butter and Earth Mama Angel brand. The verdict? I've only been using them for a little over a week, but I love them both. 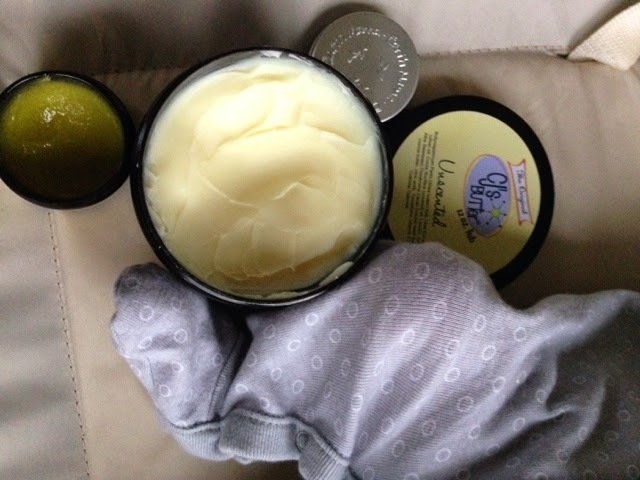 CJ's Butter is thick, and I bought the unscented kind, so I love that I can use it anywhere on Kate- and on Molly or myself! The Earth Angel balm is a thinner texture, and has an herbal scent (which initially worried me). The smell isn't overpowering, and so far, it's actually the one I'm using after each change and her little bottom is completely rash free. Since I decided to use cloth diapers, I went with cloth wipes, too. Laundry is laundry, right?! So I started by just wetting each wipe with warm water prior to use. But let's get real: a breastfed baby poops every 1-2 hours, even at night. 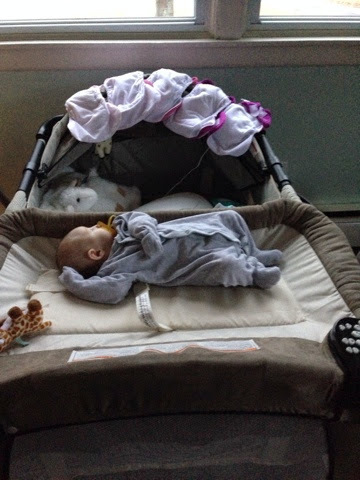 That's a big step when you've got a terribly impatient two week old screaming furiously on the changing table. 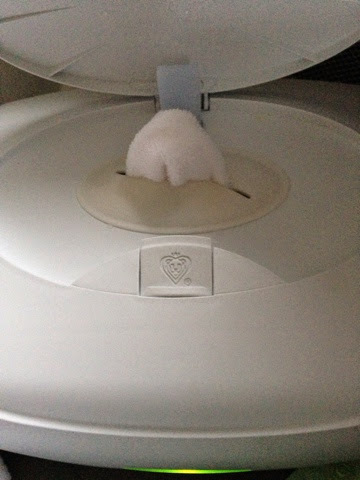 So I got this wipe warmer. And I love it. Love it, love it, love it. All this coming from the person who laughed when I saw a wipe warmer on someone's baby registry. I'm converted. This thing is nice. 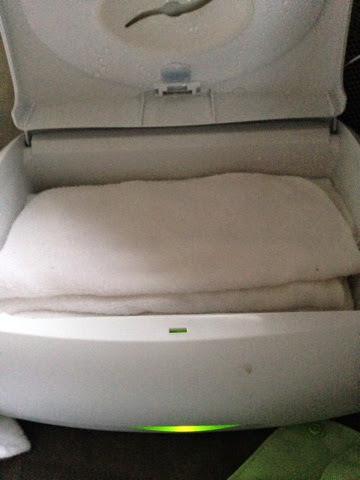 We use distilled water (since we have a well) and lightly wet the wipes before placing them in the warmer, which takes about 2 hours to completely warm. We fit about 12-15 wipes at a time, so it's a daily chore, but again- so worth it. I'm not sure if this wipes warmer is made for cloth wipes, but the reviews suggested it because of the thickness of the opening. I tried to get a picture, but it's poor iphone quality. Either way, with a good tug, those wipes fit right through the opening. And onto the dirty stuff. What do you do with the poop? Well, here's the good news: breastfed baby poop is completely water soluble. Which means it washes right out of the diapers, no need to scrape or spray the poo away (this is a different story when baby starts eating real food though...). I keep a big bucket half filled with cold water (just our well water) sitting in the washer (so it doesn't completely disturb visitors!) at all times. When I'm done with a changing, I throw the diaper and wipe into the bucket, and let them soak all day. At the end of each day, we load some soap into the machine, dump the bucket and turn the washer on (heavy wash, extra rinse, cold water). Thankfully, I have a super helper in my husband. He makes sure the load is started each night, and also sets them out to dry in the morning. Because we have well water, I bought this soap. So far, I don't even have a stain to speak of. And I was worried, because that mustard yellow poo looks like it's going to STAIN. But nope, fresh and clean each time. And from all I've read, even if there is a little stain on the diaper, a good sunning should take care of it. Hence the drying spot- nice natural light. And the last thing to report: the success! So far, no diaper rash since starting cloth diapers. She had a rash the day we came home from the hospital- I blame regular wipes/diapers, because that's when it started with Molly. Thankfully, that rash has quickly cleared, and we're rash free. Plus, I'm pleasantly surprised with the ease (so far) of cloth diapering. It's one extra load of laundry, and since babies and toddlers need a load each day anyway, it's no big deal. Ps. I bought my first stash of diapers from ebay- it was a sale of opened and washed, but unused diapers ( I really believed them, too), and I got 12 Bumgenius newborn, 1 Blueberry Simplex newborn, and 1 grovia newborn for around $50. So far, Bumgenius are my favorite. So soft, and since they're all-in-one, they're so easy to use and take care of. I just bought Kate a lovely Christmas gift of Bumgenius 4.0 during the Black Friday sale at cottonbabies.com, so I'll be posting more as she grows and as the poo changes!